By Rich JohnstonThis is one of those rare occasions when I run the final page of a comic book on the day of its release. I’m not going to alter it, I’m not going to hide it, I’m just going to spoil it. So, you know, big spoilers. If you were planning to read The Movement #2 by Gail Simone and Freddie Williams II, today then run away, run away, run away. And come back later to join in the discussion.And who is it?Sarah Rainmaker was an Apache Native American member of Gen 13 with a line in making a stand and being part of organised protests. A perfect character to pick up for a book like The Movement.Comment: For more on Sarah Rainmaker, see Who Should Play Rainmaker? 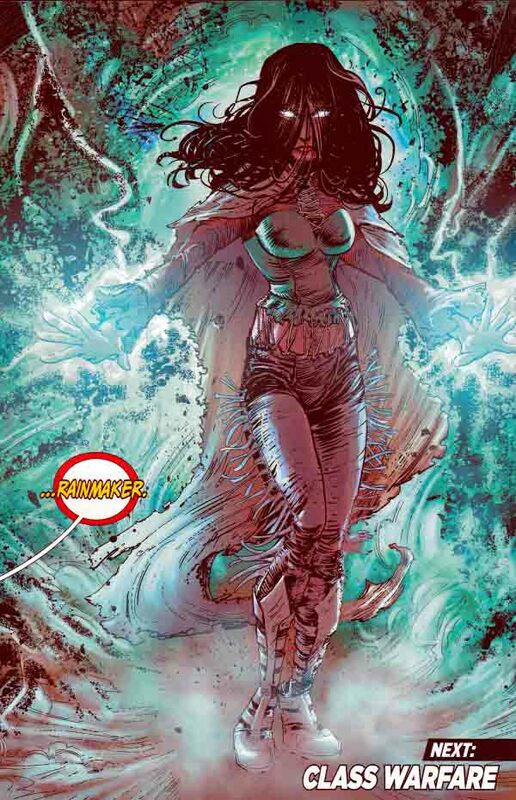 and Megan Fox as Sarah Rainmaker? !